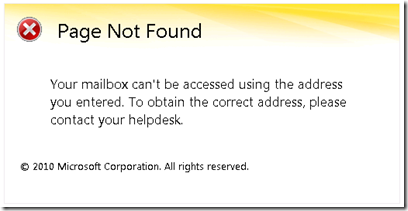 In a mixed Exchange 2007 and 2010 environment, when trying to access a the Role Based Authentication in Exchange 2010, you might get the error below. 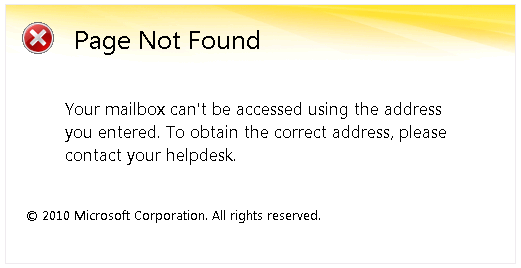 I found that this was due to the mailbox for my admin user being still located on an Exchange 2007 server. I used the move mailbox wizard to move it over to the Exchange 2010 server and everything worked fine.